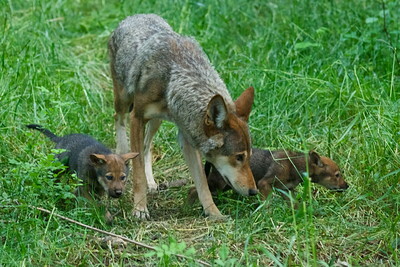 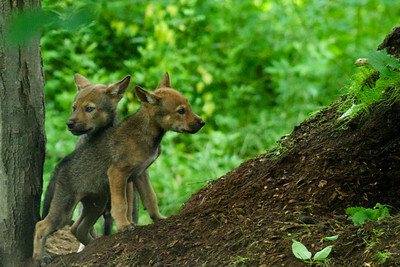 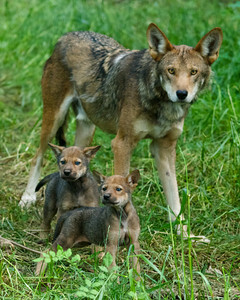 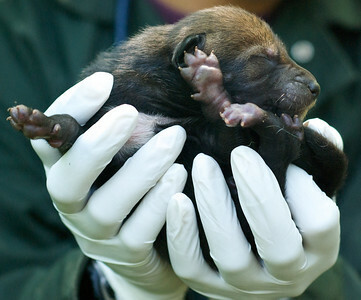 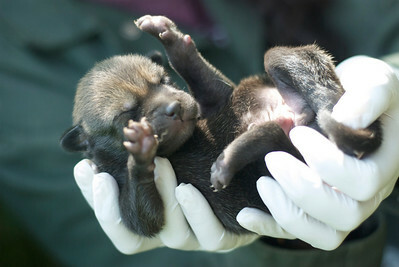 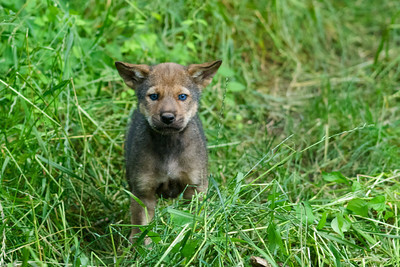 These wolves are critically endangered red wolf pups and their parents. 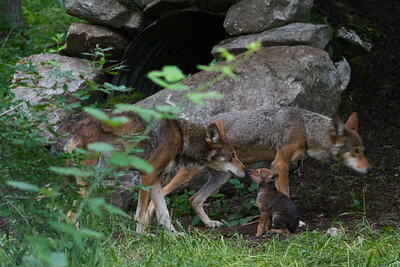 They live at the Wolf Conservation Center of South Salem, NY as part of a Species Survival Plan (SSP) under the Endangered Species Act. 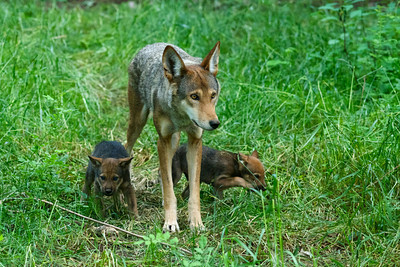 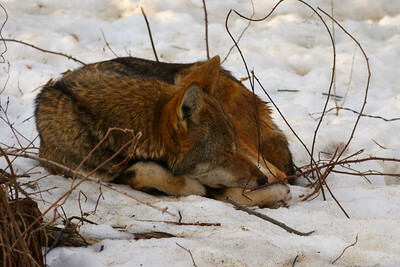 A portion of the proceeds from sales of photos in this gallery will be donated toward saving red wolves and their habitat. 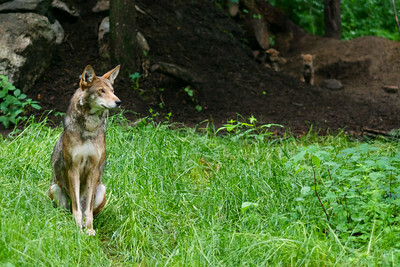 M1483 standing guard over the pups who are hanging out near the entrance to their den (just behind the pup on the left). 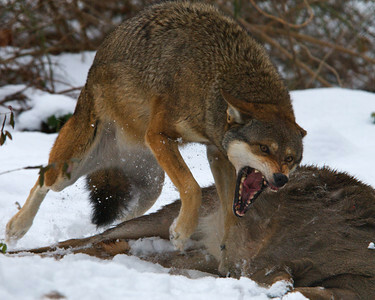 The female (F1397) was pretty food aggressive her first winter; easily driving M1483, her larger but more easy going soon-to-be-mate, away from food (roadkill deer in this instance).